What Does Engine Code P0300 Mean? The engine code P0300 is stored in memory when the ECU detects a misfire in the engine. The ECU is constantly monitoring the information of all its sensors in order to detect any misfire. During each cylinder combustion cycle, the ECU tries to sense any problem and set the appropriate data trouble code. However, under certain conditions, the ECU is unable to isolate the misfire origin or it detects random misfires changing from one cylinder to another without a logic pattern. The P0300 code is a way to alert about engine misfires, even when it does not provide any additional information. IMPORTANT: the diagnostic procedures listed below assume you only have the data trouble code P0300 present. If you also have any other code related to the ignition system, emissions system or fuel system then you should start diagnosing them first. > Engine compression tests: before starting a complete diagnostic process is necessary to check engine condition. An engine with low compression may cause a code P0300 (besides many other problems) and would need immediate attention. Please refer to our Oil On Spark Plug article for detailed instructions on how to diagnose engine compression. > Exhaust Gas Recirculation (EGR) inspection: any leak in the exhaust, or in the EGR system may cause an erratic misfire condition. Please refer to our EGR article for more information regarding EGR diagnosis. > Catalytic Converter inspection: any leak in the exhaust, or in the CAT system may cause an erratic misfire condition. Please refer to our Catalytic Converter article for more information regarding CAT diagnosis. > Ignition Coil(s) inspection: perform a meticulous visual inspection of the ignition coil(s) wiring and connectors. Look for burnt, damaged, corroded or deteriorated wires, also unplug each coil and look for bent terminal pins, loosely connections, corrosion or any other possible indication of a bad connection. 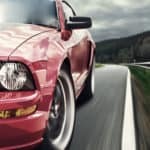 > Camshaft position sensor inspection: perform a meticulous visual inspection of the CMP wiring and connectors. Look for burnt, damaged, corroded or deteriorated wires, also unplug the CMP and look for bent terminal pins, loosely connections, corrosion or any other possible indication of a bad connection. 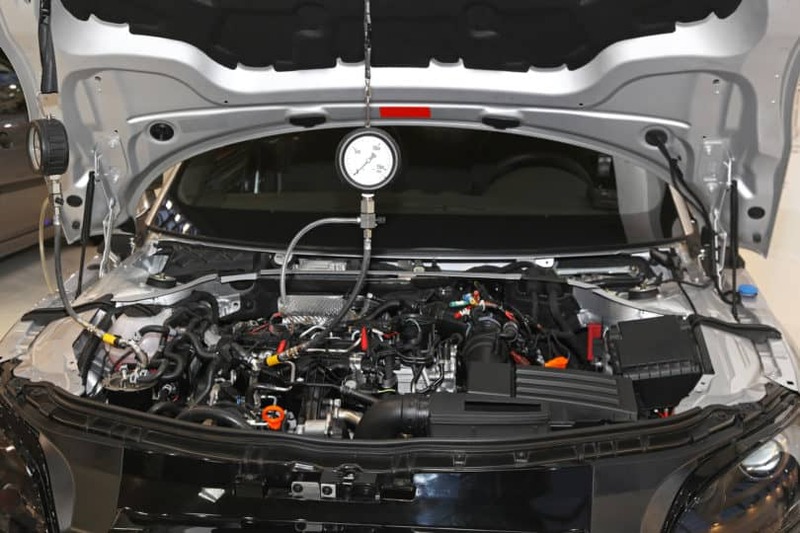 > Crankshaft position sensor inspection: perform a meticulous visual inspection of the CKP wiring and connectors. Look for burnt, damaged, corroded or deteriorated wires, also unplug the CKP and look for bent terminal pins, loosely connections, corrosion or any other possible indication of a bad connection. > Fuel Pump pressure: using the appropriate adapter connect a fuel pressure gauge to the engine test port and check the fuel pressure (engine off and engine running). Compare the values with the OEM literature. A lean condition may occur if the fuel pressure is not within its normal values. A low fuel pressure will cause a deficient fuel delivery and as a consequence a possible code P0300. > Other Tests: A clogged fuel filter or even extremely dirty fuel injectors could also cause a low fuel pressure condition. Check the in-line fuel filter and the tank fuel filter element. Replace them as necessary. Checking the fuel injectors condition is difficult without a proper test bench. > Mass Air Flow Sensor: Using a professional scan tool can save you significant time regarding MAF diagnostics. As mentioned earlier, refer to our MAF article for detailed instructions on how to diagnose this sensor. > Upstream Oxygen Sensor Test: the upstream oxygen sensor is a key component in the emissions control system. You will need to verify its wiring, connector, electrical resistance as well as scan tool output. You can find further instructions on how to perform an exhaustive diagnostic of this sensor in our oxygen sensor article. > Ignition Coil(s) test: using a professional scan tool can save you significant time regarding ignition coil(s) diagnostics. Please refer to our bad ignition coil article for detailed information regarding diagnosis. Repairing the CMP wiring and/or connectors. Repairing the CKP wiring and/or connectors. Repairing the ignition coil(s) wiring and/or connectors. Replacing the upstream oxygen sensors. As you can see, repairing code P0300 involves a lot of testing. It can be triggered by many different parts of the engine, sometimes more than one at a time. It's probably a good idea to leave this one to the professionals.